Red chalk, stumped, on paper; verso: illegible sketch in red chalk. 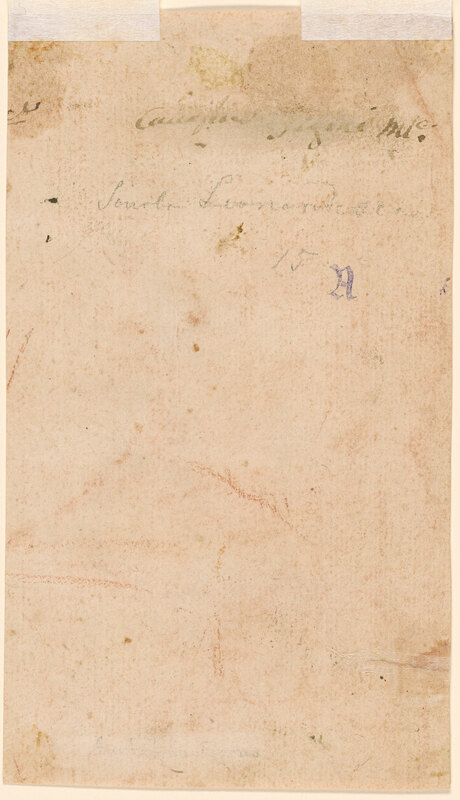 Inscribed on verso, in pen and brown ink, "Caccaphiae(?) 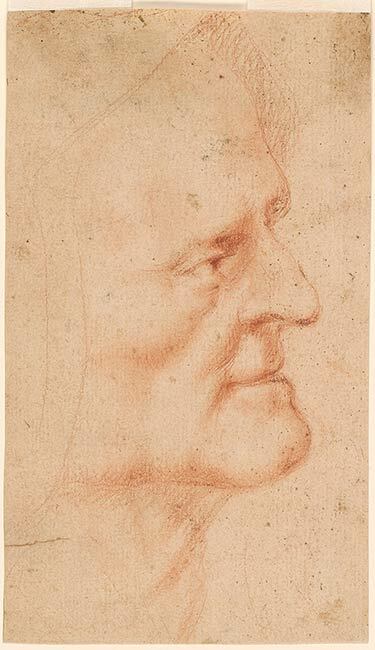 figino Mlo [o superscript]"; in graphite, "Scuola Leonardesca / 15". Dukes of Savoy, Aosta, Turin (Lugt S. 47a); purchased in Turin in 1951 by János Scholz, New York (no mark; see Lugt S. 2933b).